Meet Lizzy, the designer behind the children’s clothing brands Factor Eleven and Elevensies. 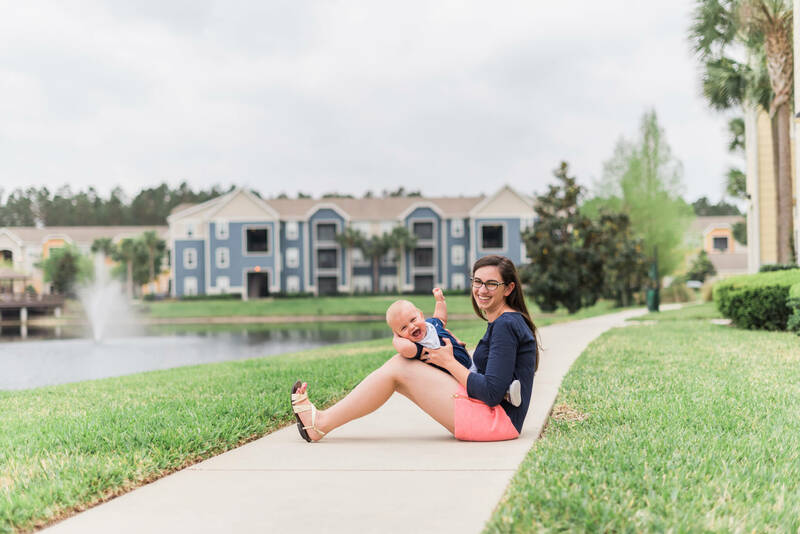 Now a full-time, work-from-home mother, Lizzy used to be a nanny and Gossip Girl intern before she decided to spend her days caring for a giggly newborn while starting her own business (sounds easy, right?). 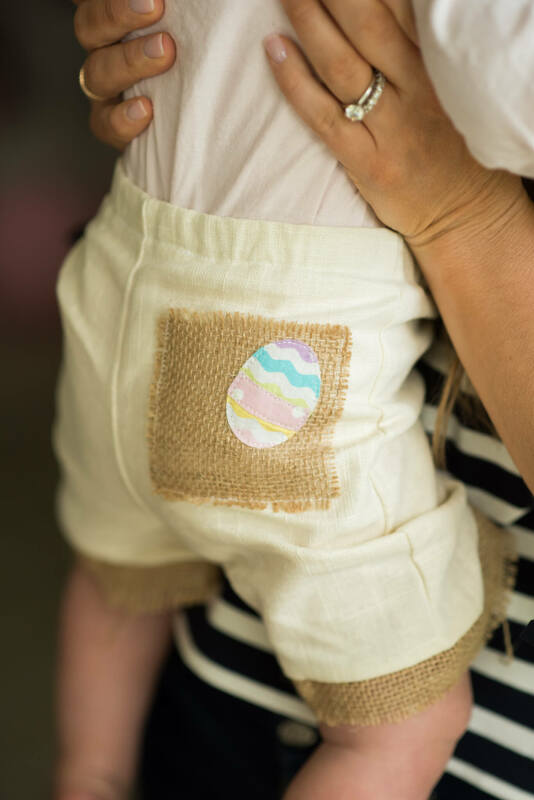 Lizzy and I had due dates a day apart, and she made these adorable Easter shorts for Tripp. As a mom, I know how difficult it is to take care of a newborn, and I can’t imagine working while being a full-time mom. So get to know Lizzy and her companies – I know you’ll love her designs as much as I do! I started college at Franklin & Marshall College in 2007. I wasn’t very interested in my classes and I spent a lot of my time focused on clothing and accessories- making some by hand in my dorm. After realizing the school wasn’t the best fit for me, I transferred to Iowa State University in 2009 and graduated from college in 2011 with a degree in Fashion Design, Merchandising, and Production with a focus in Creative Design. I initially thought that I wanted to work in costumes. One summer I interned on the TV show Gossip Girl in their costume department. While I had the best time working there, I also realized that as a career, I didn’t want to style with other designer’s clothing- I wanted to design my own. How did you get started with Factor Eleven? Ultimately I knew I would be happiest if I could have creative control, so I started Factor Eleven in 2013. I started out selling women’s hair accessories on Etsy. I didn’t know much about marketing and social media, and I had very little time to focus on the shop so I suspended it a few months later. After that, I nannied full time for a little girl named Londyn. I accidentally stumbled into the world of photo props when I made a tutu for her first birthday photo shoot and the photographer liked what I made and asked if I would make more for them. That was when I learned there was a demand for these kinds of small scale customized designs. Photo props are not designed to be the most comfortable or practical items of children’s wear as they are more of a costume- worn only for the photo. This makes them a great avenue for creative and intricate design work. 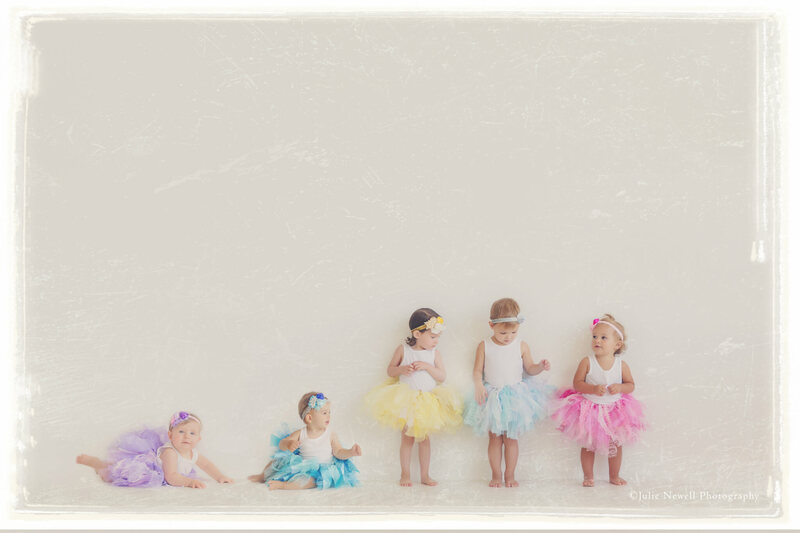 I reopened Factor Eleven in 2015 selling tutus and quickly expanded to all kinds of photo props from maternity dresses to tutus, to Easter themed shorts! Everything is very custom and special occasion. Factor Eleven is very custom and intricate- the phrase I always use with customers is “I’ll make whatever you dream up” Designs often start with a simple question like “Can you make a princess tutu?” And then that leads to a full line of tutus inspired by Disney princesses. Or “rustic yet regal” that led to a tutu and matching shorts with burlap, linen, lace, rosettes, and appliquéd kisses for Valentines day. It’s Handmade, it’s custom, it’s often high-end and dressy. You started Elevensies in 2017. How is this line different? I opened Elevensies in early 2017 to sell items that don’t fit into the Factor Eleven category of clothing. 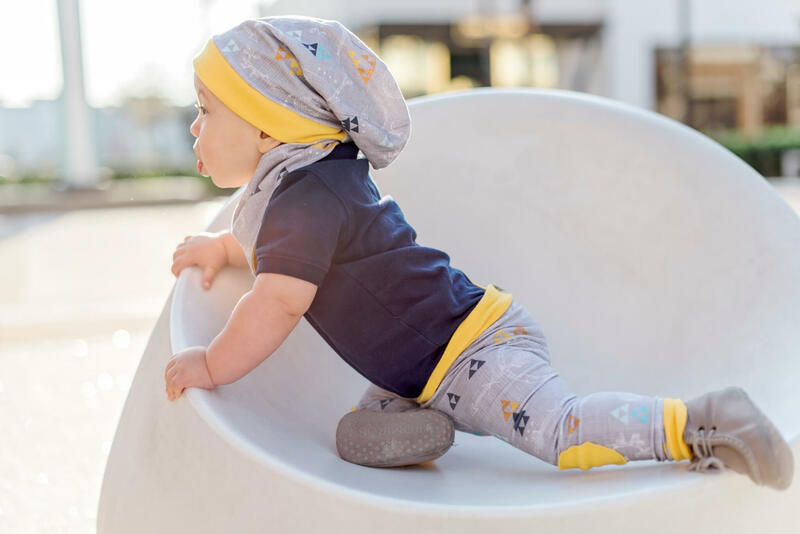 Elevensies is limited edition lines of trendy yet comfortable everyday clothing- for babies, toddlers, and young children. Elevensies was inspired by my son Alaric. 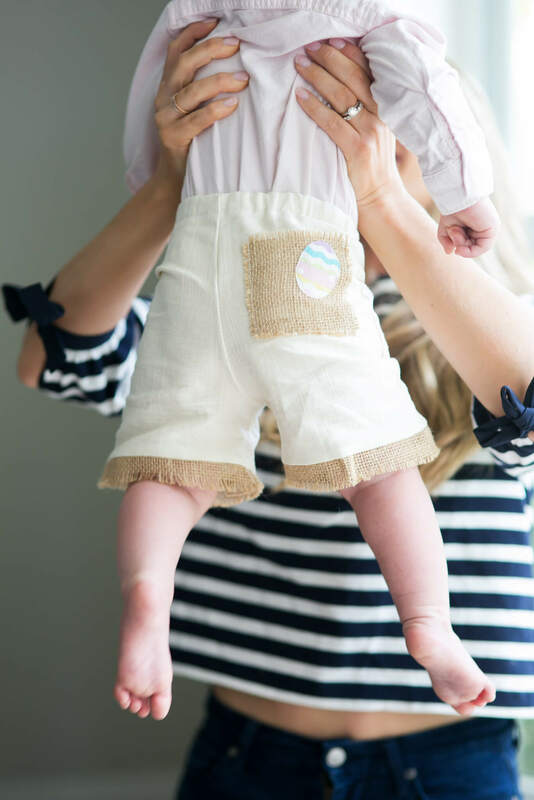 While on maternity leave with him in the summer of 2016 I sewed him lots of adorable and comfortable clothing items and found that many people wanted to buy them. I didn’t feel that they fit in the same category as Factor Eleven’s items so I felt it would be best to keep the two brands separate so that they could represent two very different types of fashion- all with the same quality and craftsmanship. Elevensies is meant to be less custom and intricate, simpler and more basic in nature. 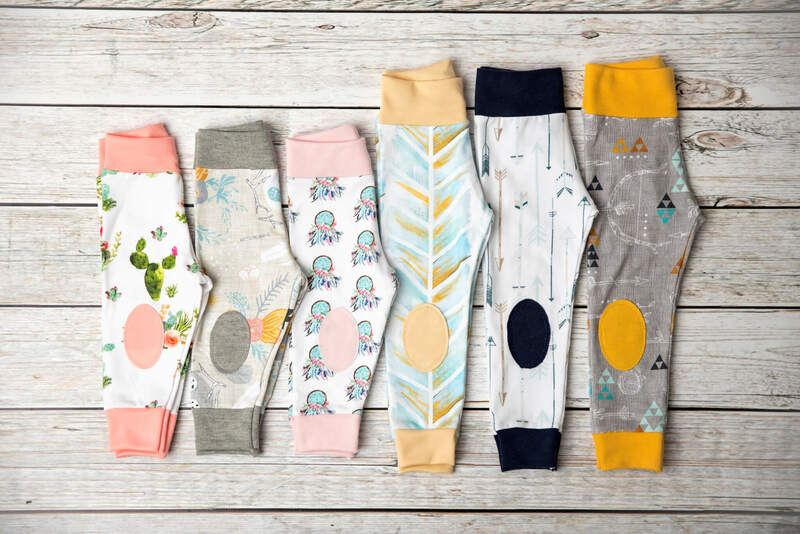 It is trendy, soft, often watercolor prints on comfortable, casual fabrics, in basic designs with a unique twist. It’s affordable, practical, comfortable, yet still stylish and on trend. What do the company names mean? I have Factor XI deficiency which is a bleeding disorder. When searching for an appropriate name for my shop which was where I would channel all of my hopes and dreams and creative energy- I found it symbolic to name my greatest hopes and dreams after my greatest struggles and gave it the name Factor Eleven. Elevensies is a brand that spun off from Factor Eleven so I wanted the name to give a nod back to where it began. I liked Elevensies as it reminded me of the term onesies and also felt like a smaller more kid friendly version of Factor Eleven. What makes your lines unique? Everything is handmade by me for both companies. Factor Eleven items are often sewn by hand. Tutu’s are completely constructed by hand- no machine work. I think the custom element to Factor Eleven makes it very unique. Almost every order I process is unique from the next. Have you had any legal issues come up as a designer? Luckily, I haven’t had any problems with people copying my designs. I know as designer with other friends in the industry, we’re often wondering what aspects of design are ok for others to copy from us, and what would cross the line. Tell me a little bit about how you work. I have been working on Factor Eleven full time since the fall of 2015. As all moms who try to work from home or basically get anything done from home with an infant know – full time takes on a new meaning when you have an infant to watch. I am essentially always at work. I sew during nap time and after my son goes to bed for the night. Additionally, I sew a good portion of the weekends when my husband is able to help with the baby and if I have a particularly high volume of orders I need to get out then I hire a babysitter to watch him for a few hours. As you can imagine, I am more productive than ever these days because I better value every minute I am able to work. Factor Eleven and Elevensies are an amazing creative outlet for me that allow me to do what I love and call it work. They also allow me to be home with my baby during the day, which is very important to me. I have a very happy, bubbly baby and he giggles his way through the day, which makes every challenging moment feel worth it. It’s why I don’t mind working into the night and most weekends. I want to be here to listen to that laughter. Stay tuned, Lady J is covering copyright laws in fashion next week!